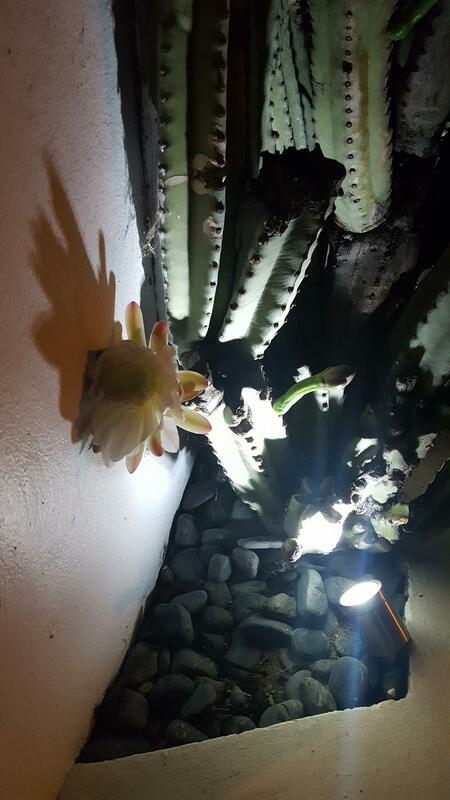 I always see this cactus on my way home and it's always flowering and looks amazing! I was wondering if someone might know what it is? p.s when you say its "always flowering", do you really mean "always"? Like it flowers in winter also? Every time a i walk past it, it seems to have a few new flowers on it. At least for the past 5-6 or so months. Im sure "always" is an exaggeration! There any many similar looking cacti in my area but this always gets my attention because its the only one i see flowering. 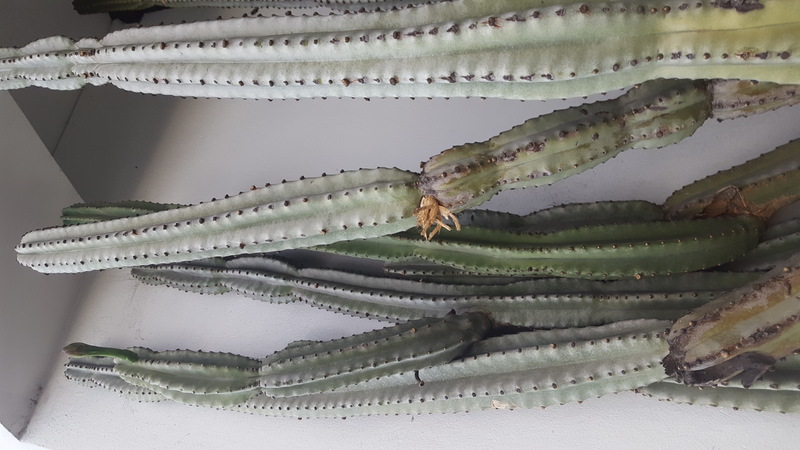 See how the flowers in the first pic aren't hairy (covered in trichomes) that's how you know it isn't a Trichocereus which basically means 'hairy cactus' (referring to the flowers). 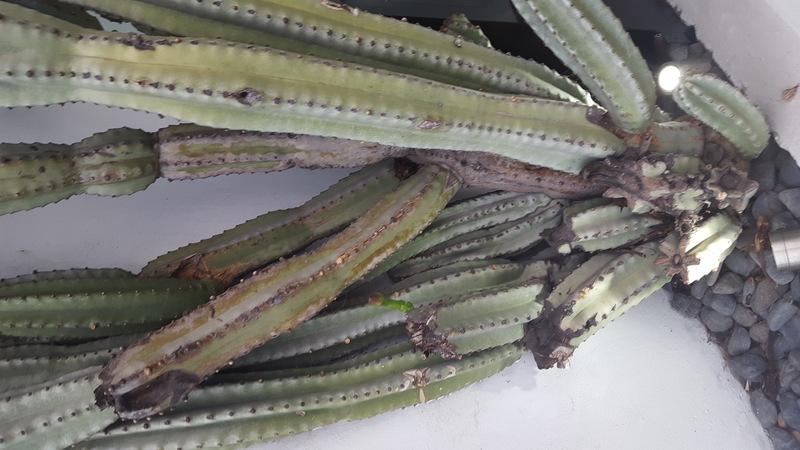 The thin-ish ribs will also tell you that it's a Cereus, a nice short-spine one. 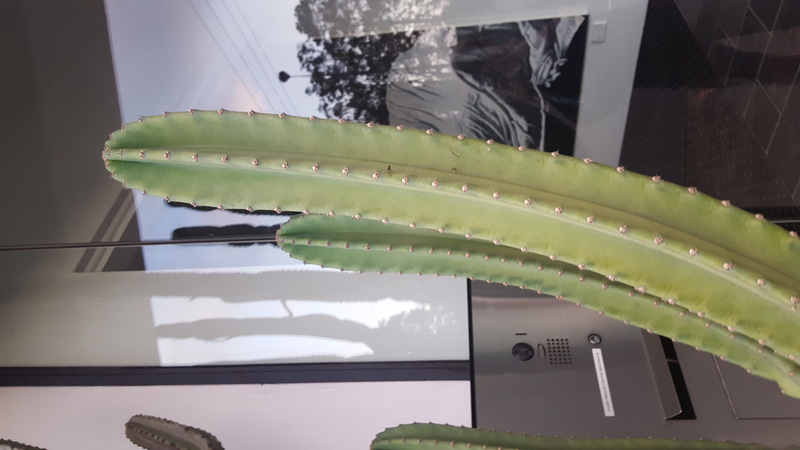 +1 on the Halcyon ID... Nice looking cereus too... anyone know which species it is?